It is always fascinating to discover the wellspring of artists' sources and inspiration. John Constable once remarked, "My limited and abstracted art is to be found under every hedge and in every lane, and therefore nobody thinks it worth picking up." 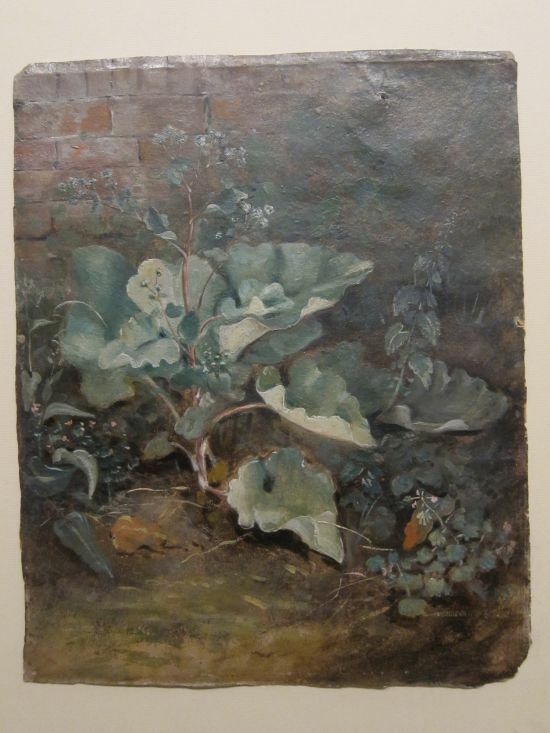 Plants by a Wall, 1825, John Constable - Not even "under a hedge"! It is somewhat amazing to realise that he described his art as "limited and abstracted". 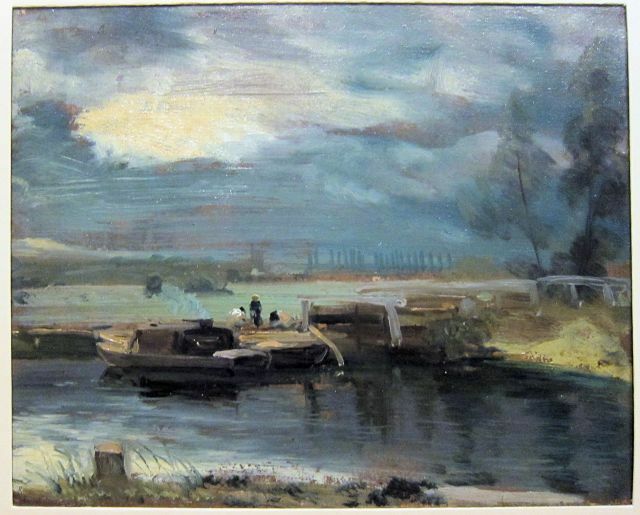 If you look at a wide array of his paintings in oil and watercolour and his drawings, on a site such as John Constable.org , the overwhelming impression is his close, detailed attention to the flat, wide world of East Anglia and even beyond to the sea when he was staying at Brighton. His studies, when working en plein air, are wonderful in their atmospheric evocation and detailed information. Suffolk, where he was born and mostly lived, is open to the blustery winds off the North Sea, with clouds banks shadowing the wide fields, tree-lined lanes and stretches of water (such as the Water Meadows near Salisbury). Constable never forgot his rural surroundings, but he certainly did not show them to be limited. Abstracted, maybe, but not in the sense we tend to use "abstraction" today. I find that it is indeed rewarding to go for a walk in our quiet neighbourhood along the riverside and by the marshes. Here too, there are always sources of ideas for drawings and paintings, and even though I know the area very well, the changes of season and light make everything fresh each time. And whilst it may be something that no one else notices, I find myself getting all excited about different things and views. Along our sandy lane is an endless fascination for me: the remains of a cedar tree, clearly once a mighty seer, but now sinews and lace that become a myriad abstractions. I keep drawing different portions of it in silverpoint . At left is one version of my "art – in the lane" abstraction, "Cedar Remains". Below is a smaller drawing I have done from the same cedar skeleton of "Cedar Lace", also in silverpoint which I am donating to the Newhall Art Collection, at Murray Edwards College, Cambridge, England, for their fund-raising auction in February-March. It should be up on their website in February. Constable was indeed wise when he went seeking his art "under every hedge and in every lane". We have all benefited ever since.